The Lincoln Mark VIII was the last in a half-century-long line of large personal luxury coupes produced by Ford's premium brand. 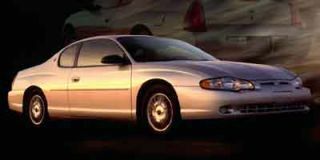 Built from 1992 through 1998, it shared underpinnings with the Ford Thunderbird that was the large coupe sold by its sister brand. The rear-wheel-drive coupe was not as well received, nor viewed to be as stylish, as its predecessor the Lincoln Mark VII, made from 1984 through 1991. 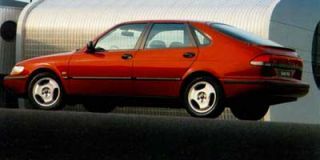 Unlike its relatively upright predecessor, the Mark VIII was a radical stylistic departure, using then-prevalent Ford styling themes of smooth and rounded shapes and scalloped sides. It was lower and longer than the Mark VII, somewhat larger inside, and also slightly lighter. Sold in only one body style, a two-door coupe, the Lincoln Mark VIII was powered by an all-new aluminum 4.6-liter V-8 engine producing 280 horsepower and 285 lb-ft of torque, later boosted to 290 hp, driving the rear wheels through a four-speed automatic transmission. Standard equipment included cast 16-inch aluminum alloy wheels, automatic climate control, leather seats with six-way power adjustment and power lumbar supports in front, cruise control, power windows, locks, and mirrors, keyless entry, and automatic headlamps. The audio system was an AM/FM/cassette system, and an automatic power antenna came as standard as well. 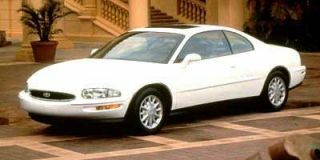 Optional equipment on the Mark VIII included a power moonroof, auto-dimming mirrors, an AM/FM/CD player audio system, a 10-disc CD changer, and a premium speaker system from JBL. In 1995, the instrument panel was slightly redesigned and new audio systems were introduced. A new model, the Mark VIII LSC, was also launched. 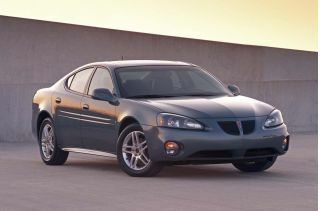 Standing for Luxury Sport Coupe, it received the more powerful 290-hp engine, sportier suspension, and various trim differences inside and out, including monochrome exterior accents and High-Intensity Discharge (HID) headlamps. 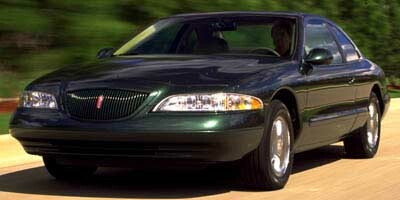 The Mark VIII received a mild facelift for 1997, with a slightly more upright and traditional grille returning to the front end, with a slightly redesigned rear as well. The stylistic remnant "spare tire hump" on the trunklid was made smaller, and HID headlamps became standard. LSC models received further suspension upgrades. Unusually for an American car, the Mark VIII's side mirrors included both flashing LED signal lamps and so-called puddle lamps, which illuminated the ground below each door to assist occupants entering or exiting the big coupe. With the large coupe market dwindling in the U.S., the Lincoln Mark VIII was not replaced when it reached the end of its model run. Instead, the mid-size Lincoln LS four-door sedan took its place in the lineup. The Mark VIII was technologically at least 12 years ahead of its time, and it still looks beter than 9 out of 10 new models. I'm on my third one, and will continue to drive them until I can no longer find... The Mark VIII was technologically at least 12 years ahead of its time, and it still looks beter than 9 out of 10 new models. I'm on my third one, and will continue to drive them until I can no longer find excellent condition used ones. Yes, there are some cars that do this or that better than the Mark VIII, and lots and lots of cars that don't do anything nearly as well, but very, very few models do so many things as well as this Lincoln. It's big enough, roomy enough, sporty enough, luxurious enough, more than fast enough, rides well enough, comfy enough, corners well enough, economical enough, reliable enough, and so on, to be, overall, the single most satisfying car I have ever owned.